Not many artists wait until their 70’s for their first solo exhibition and Paul Dash has not had the attention that his work merits. 198 Contemporary Arts and Learning seeks to redress this by presenting Lifeline: A Retrospective of works by Paul Dash, opening on Saturday 1 March 2019. Lifeline is the first major solo exhibition by Paul Dash and, for the first time, brings together works from throughout his career, spanning the 1960’s to present day. A major highlight of the exhibition will be an event with Dash in conversation with curator, David A Bailey MBE. The collection of works presented include figurative and semi-abstract large-scale paintings and a selection of ink drawings focusing on several themes drawing on his Caribbean heritage such as carnival. His more recent work confronts the reality of the current refugee crisis in a series of sensitive pieces based in ink, water colour, and collage. 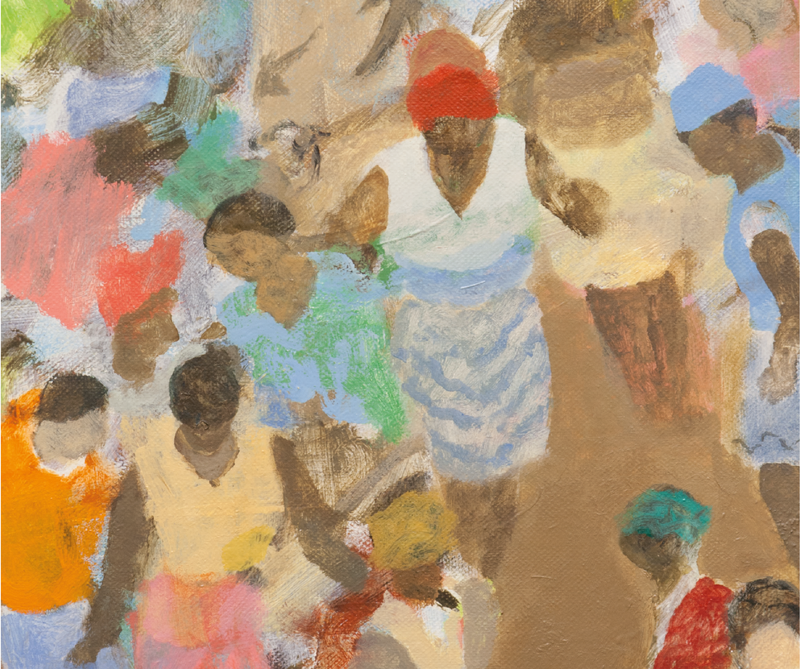 When describing his work Dash identifies his painting practice as a ‘lifeline’ which brought him salvation through hardships in his experience as a person of the Windrush generation. With this exhibition, we are proud to provide the opportunity for Dash to present this important selection of his life’s work and recognise him as a legacy artist. The Critical Decade: Black British Photography during 1990-92. Race representation and the diaspora with the exhibition MIRAGE: Enigmas, On Race, Difference & Desire at the Institute of Contemporary Arts 1995. The question of art historical movements and racial intervention with the Rhapsodies In Black: Art From the Harlem Renaissance at the Hayward Gallery in 1997, Back To Black 2005 and Shades Of Black 2005. Thematic issues with the exhibition Veil in 2003 and the current human rights public memorial project Remember Saro-Wiwa The Living Memorial 2005 – 2007. Race, film and spectacle with the Black Moving Cube project for the Tate Gallery, Arnolfini Gallery in Bristol and London 2006. In June 2007 he was awarded an MBE for his services to the visual arts. Black Diaspora Arts with the Black Diaspora Visual Art Symposiums in Barbados in March 2008, February 2009, November 2009 and Martinique February 2011.